Easy Bakes And Cakes: Indoor S'mores! 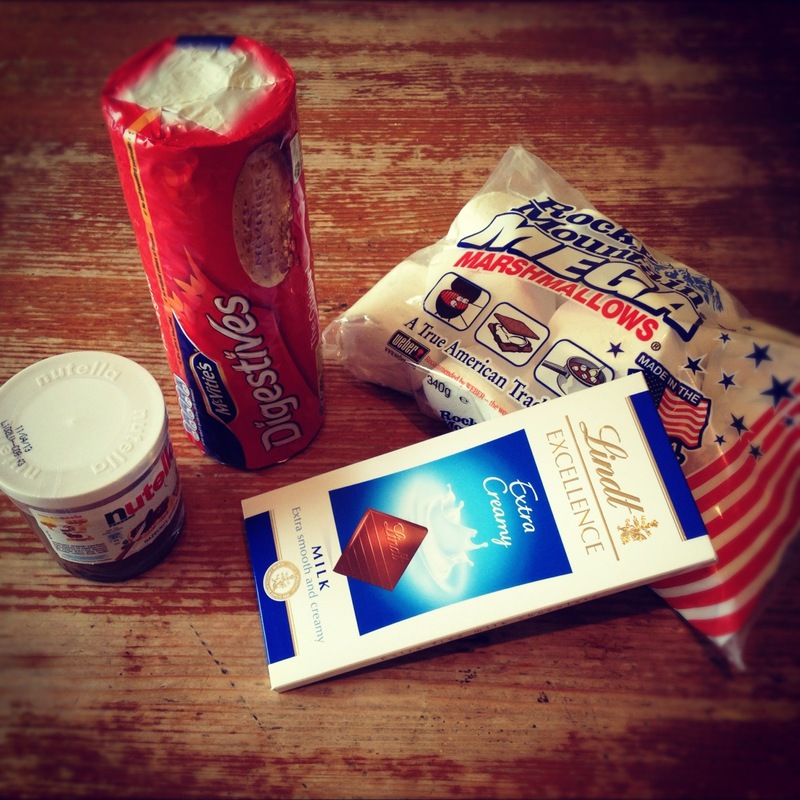 I have been reading food blogs for a good while now and naturally they often are written by people from outside of Ireland.A lot of my favourite blogs are American so it wasn't long before I discovered s'mores,something I hadn't really heard much of before my food blogging days.S'mores are massively popular stateside but they don't seem to have made the jump over here to Ireland.This probably has something to do with the fact that we reallly never get the weather for campfire activities, and s'mores are definitely a big campfire activity in America.Almost every American food blogger that I have come across has made at least one reference to these delicious treats and after ogling many pictures showing marshmallows atop of gooey chocolate oozing out between graham crackers,it was only a matter of time before I tried to give these a go.But then reality hit me.Firstly graham crackers aren't available over here in Ireland.And secondly I don't have the facilities to set up my own campfire in my garden (I don't think my parents would be too pleased).That kind of put paid to my making of s'mores for quite some time until I spotted this post on one of my favourite blogs,likemamusedtobake. 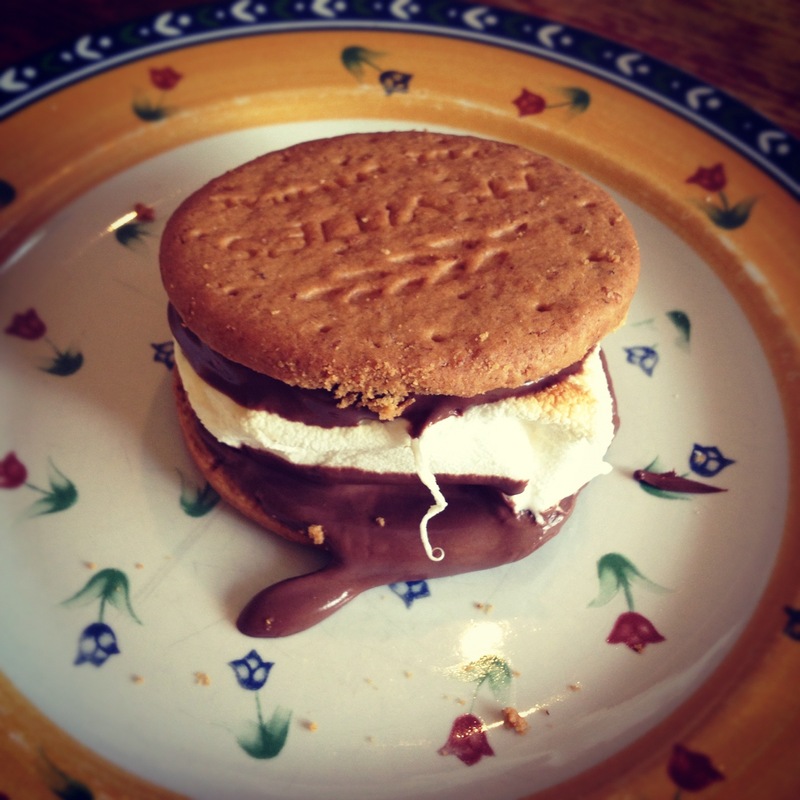 The ingredient list for making s'mores is really quite basic and short.All you need is some digestives biscuits,marshmallows and some nutella/chocolate.I tried making the s'mores in two different ways.Firstly I placed a square of chocolate on a digestive biscuit,topped with a marshmallow and microwaved on high for 30 seconds.I used extra big marshmallows(superquinn if you're interested) and I found that these tended to spread quite liberally in the microwave,but then no one ever said s'mores were going to be tidy eating anyway.The second way I tried involved spreading nutella on one digestive biscuit topping with a marshmallow and toasting under a grill on a high heat.This was my favourite way as the marshmallow became all gooey underneath while it browned and crisped beautifully on the top. There's no right or wrong way to enjoy a s'more.Whatever you decide to do,as long as it involves biscuits,marshmallows and chocolate and is ridiculously messy then you're guaranteed delicious results.Enjoy!